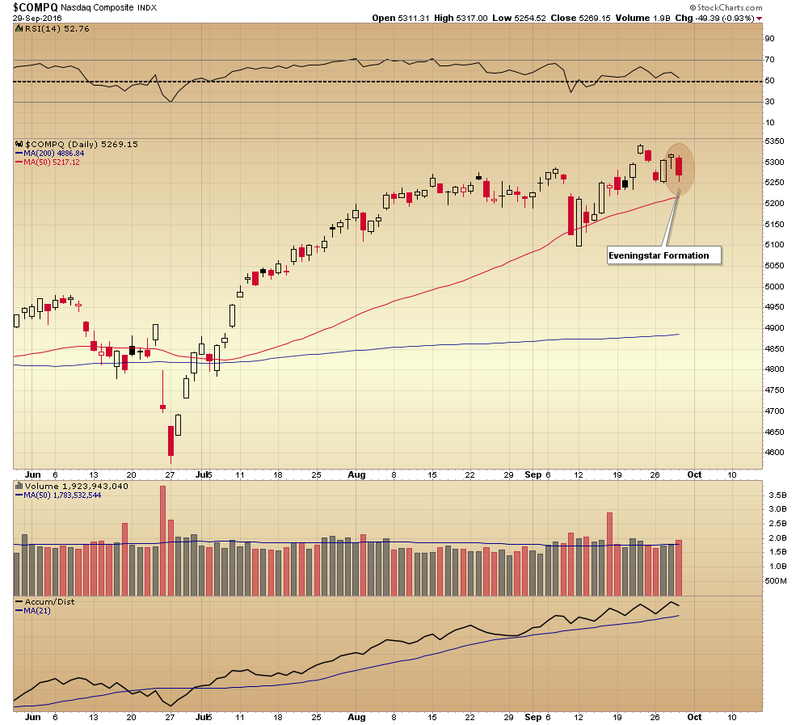 A three-day bearish reversal pattern has formed on the NASDAQ Composite daily chart. Its composition suggests a transition in investor sentiment form bullishness to bearishness. 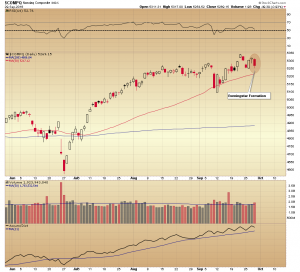 Thursday’s session was volatile with a number of fundamental and technical forces coming into play. The weekly candle will have more to say about the intermediate term direction of the market, and I’ll have a complete multiple time frame analysis of the major market indices over the weekend.